Years ago, Emily's childhood nemesis, Emma Callum, scandalized polite society when she eloped to Venice with an Italian count. But now her father-in-law lies murdered, and her husband has vanished. There's no one Emma can turn to for help but Emily, who leaves at once with her husband, the dashing Colin Hargreaves, for Venice. There, her investigations take her from opulent palazzi to slums, libraries, and bordellos. Emily soon realizes that to solve the present day crime, she must first unravel a centuries old puzzle. But the past does not give up its secrets easily, especially when these revelations might threaten the interests of some very powerful people. Another of my free library shelf finds! The title captured my attention and so I tossed it into my bag and on my last "make myself take downtime day", I picked it up and read the whole darned thing before I realized it! That's a good sign that I enjoyed the book, but let's break it down a little bit more. I'm a sucker for a mystery and this one was really well written. Even though the chapters switch between present and past, there was absolutely no confusion and it was easy to see how they were tied together. The characters felt true in their interactions and even though this was the only book in the series that I've read so far, I still felt as if I knew them. Now, if I have to find a complaint, it's only that the ending seemed off to me. I don't mind being surprised by who the bad guy is, but somehow it just didn't feel right to me. Still, it didn't stop me from enjoying the book. 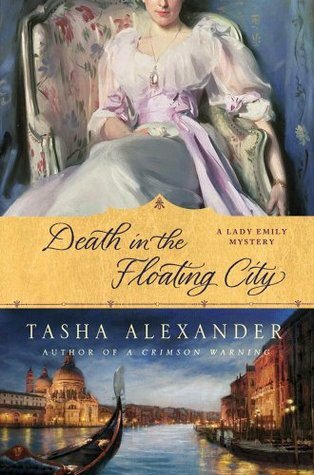 So, if you like mysteries, check out the Lady Emily series. I know I'm going to try to track down another one and if I spot one on the free shelf, it's going home with me.